An Indiana State University history professor has been honored by being elected to the Association for Iranian Studies Council, which represents more than 700 Iranian studies scholars around the world. James Gustafson, assistant professor of Modern Middle East history, will begin his three-year term in 2017. "I consider this one of the greatest accomplishments of my career, to be elected by my colleagues around the world to represent Iranian studies," Gustafson said. 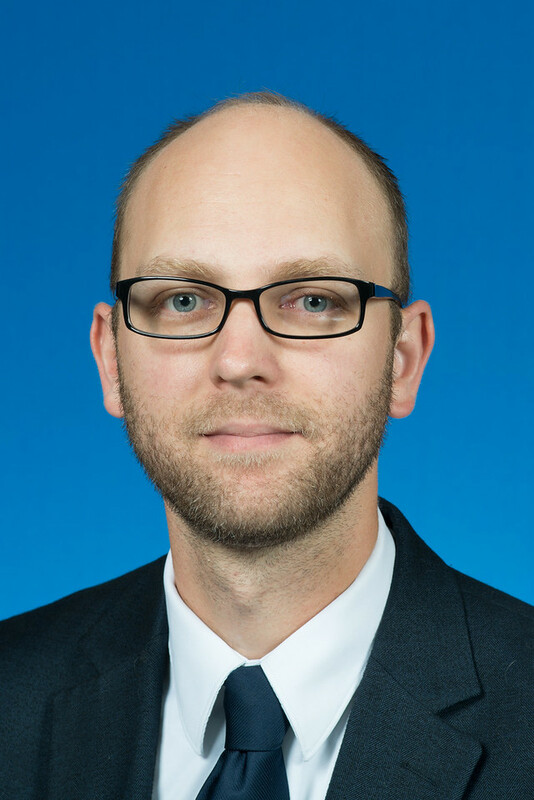 "I'm especially proud to represent Indiana State University on the council and build on our institution's strong international reputation in research." The Association for Iranian Studies Inc. (formerly The International Society for Iranian Studies Inc.) was founded in 1967 as an academic society to support and promote the field of Iranian Studies at the international level. An affiliated member of the international Middle East Studies Association, AIS is a private, not-for-profit, non-political organization of persons interested in Iranian Studies in the broadest sense. The society aims to promote high standards of scholarship in the field, to encourage the teaching of Iranian studies at the collegiate level and to facilitate scholarly exchange amongst its international membership. AIS publishes "Iranian Studies," a peer-reviewed journal of history, literature, culture and society, covering all regions of the globe with a Persian or Iranian legacy that serves as the principal journal in the field. Gustafson earned his Ph.D. in history at the University of Washington in 2010. He holds a master's from the University of Chicago (2005), a bachelor's from University of Massachusetts-Amherst (2003) and a certificate in international relations from The Five Colleges, Amherst (2003). Gustafson has published on the social and economic history of Qajar Iran (1795-1925) and modern Central Asia in the "International Journal of Middle East Studies," "Journal of the Economic and Social History of the Orient," "Iranian Studies" and "Encyclopaedia Iranica." His first book, "Kirman and the Qajar Empire: Local Dimensions of Modernity in Iran, 1794-1914," was published by Routledge Press in 2015. Gustafson served two terms as president of the Midwest Association for Middle East and Islamic Studies (2012-16). James Gustafson has been honored by being elected to the Association for Iranian Studies Council, which represents more than 700 Iranian studies scholars around the world.